Facebook updated it’s promotional guidelines. But more importantly, what does this mean for you? I am sure a majority of you in the social media world have heard the latest from Facebook; company administrators on Facebook pages can now post promotions without using third party apps! YAYY! For all of you saying, “What does that even mean?” let me explain: Previously, it was technically against Facebook policy for companies to ask for likes, comments or wall posts in the name of promoting a certain event, product, etc. Oh you are saying you didn’t know that that was a rule? Well, most small businesses didn’t. Previously, businesses would have to have an IT department go through Facebook’s approved apps (or use an approved third-party vendor) in order to create or license an approved promotion for that businesses FB page. Businesses could not use a “like” or a “comment” on Facebook as a voting mechanism for people to win contests. 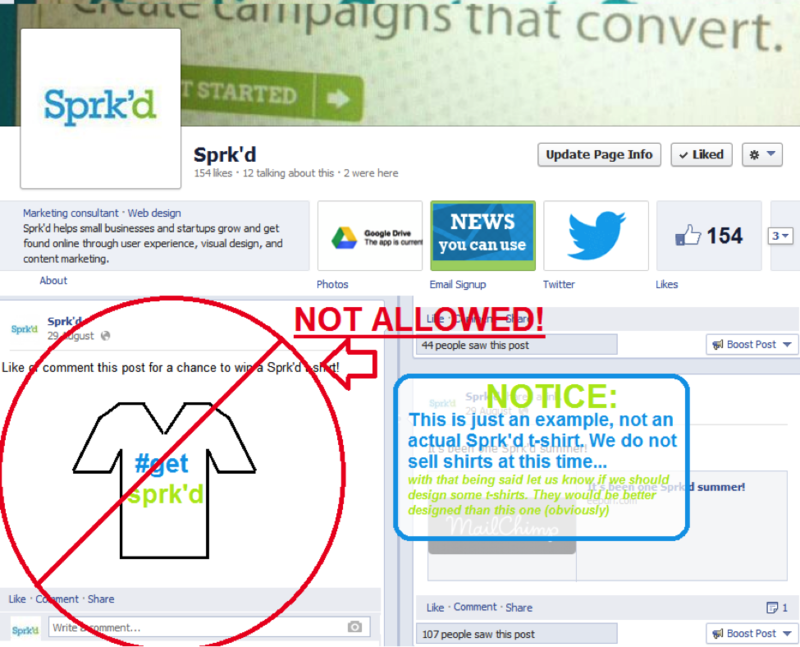 This new development now allows businesses of any kind to promote on Facebook without breaching the contract/guidelines. You can now ask followers/likers/fans to like photos or comment and/or post on the companies page in the name of a promotion or contest. But before you get too excited, there are still some guidelines you must abide by before creating promotions on Facebook. For one, you must clearly explain the guidelines of eligibility for any said promotion. Two, the person involved in the contest cannot personally share and promote on his/her own timeline in the name of your company. Three, in the terms and guidelines of the contest you must explain that Facebook itself is in no way legally liable for the terms of the said contest. We hope these updates will enable more businesses to use Facebook to launch their promotions. For more information regarding the changes to our promotions policies, check out our downloadable Promotion Guidelines, which include FAQs and best practices for running promotions through Facebook."